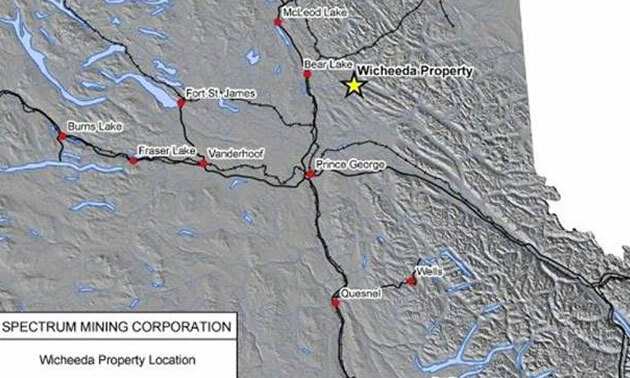 Map showing location of Wicheeda property in central British Columbia. — Photo courtesy Defense Metals Corp.
Defense Metals Corp is pleased to announce that Phase 1A metallurgical testing on the Wicheeda bulk sample at SGS Labs is underway. 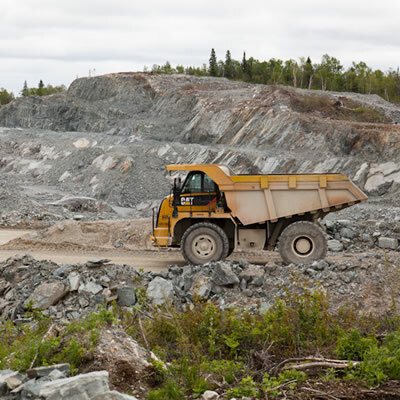 Defense Metals Corp has been informed by SGS that the entire 30 tonne bulk sample has been crushed to a nominal 1 inch size and a 400 kg subsample has been taken for batch and grindability tests. Preparation is underway to prepare a grindability sample, flotation charges and head assays, which is expected to be completed early this week. The subsample from the head will be submitted for chemical and mineralogical analysis is also scheduled for early this week as well. Chris Graf, Technical Advisor comments "Building on the successful bench scale flotation testwork conducted in 2012 by SGS on a 100 kg composite sample of Wicheeda drill core, the goal of the Phase 1A testwork is to develop a robust flow sheet for producing high grade REE flotation concentrates from a 200 kg sample of the 30 tonne Wicheeda REE deposit bulk sample. It is anticipated that 20 kg of REE concentrate will be produced by Phase 1A." Following a successful Phase 1A, Phase 1B hydrometallugical testwork is to commence on the 20 kg sample of flotation concentrate once it has been produced, by the end of May. The goal of this hydrometallurgical testwork will be to produce a purified, mixed REE concentrate and provide data that can be used to design a hydrometallugical pilot plant. The Phase 1A flow sheet will be used in a Phase 2 flotation concentrate pilot plant program where the entire 30 tonne Wicheeda bulk sample will be processed with the goal of demonstrating that the Phase 1 A flowsheet is capable of producing a high grade REE concentrate at an industrial scale. It is expected that the Phase 2 pilot plant metallurgical testwork will produce approximately 3 tonnes of REE concentrate that can be tested by a Phase 3 hydrometallurgical pilot plant. 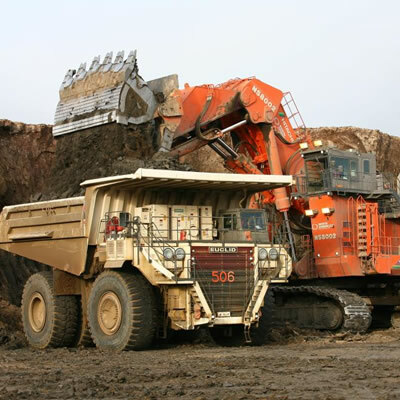 By incorporating an integrated approach, SGS delivers testing and expertise throughout the entire mining life cycle. With a network of over 450 commercial, multi-purpose and on-site laboratories globally, SGS is uniquely positioned to provide fit-for-purpose solutions and testing capabilities from early exploration to end-product certification and closure to the mining industry. SGS' services encompass the skills of qualified geologists and mining professionals to provide accurate and timely mineral evaluation and consulting services in a wide range of commodities including precious and base metals, rare earth element minerals, uranium and naturally occurring radioactive material, industrial minerals, iron ore and hydrocarbons. SGS Minerals Lakefield is an ISO/IEC 17025 and ISO9001:2015 accredited metallurgical testing facility. SGS is independent of Defense Metals Corp. The property located approximately 80 km northwest of the city of Prince George, British Columbia, is readily accessible by all-weather gravel roads and is close to major infrastructure including nearby working power transmission lines, railway and major highways. Geologically, the property is situated in the Foreland Belt and within the Rocky Mountain Trench, a major continental geologic feature. The Foreland belt contains part of a large alkaline igneous province stretching from the Canadian Cordillera to the southwestern United States and hosts several carbonatite and alkaline complexes among which are the Aley (niobium), Rock Canyon (REE), and Wicheeda (REE) alkaline complexes that contain the highest concentrations of Rare Earth Elements minerals. The Property is underlain by Kechika Group metasedimentary rocks that are intruded by a southeast-trending carbonatite. The Wicheeda carbonatite is a deformed plug or sill approximately 250 metres in diameter that hosts potentially economic REE mineralization. The intrusion comprises a ferroan dolomite carbonatite core, which passes gradationally outward into calcite carbonatite. The potentially economic REE mineralization is hosted by the dolomite carbonatite. The scientific and technical information contained in this news release as it relates to the Wicheeda Property has been reviewed and approved by Kristopher J. Raffle, P.Geo. (BC) Principal and Consultant of APEX Geoscience Ltd. of Edmonton, AB, a "Qualified Person" as defined in National Instrument 43-101 – Standards of Disclosure for Mineral Projects. Defense Metals Corp. is a mineral exploration company focused on the acquisition, exploration and development of minerals, metals and elements commonly used in the protection of our nation and other nations abroad. Defense Metals Corp. trades under "DEFN" on the TSX Venture Exchange. 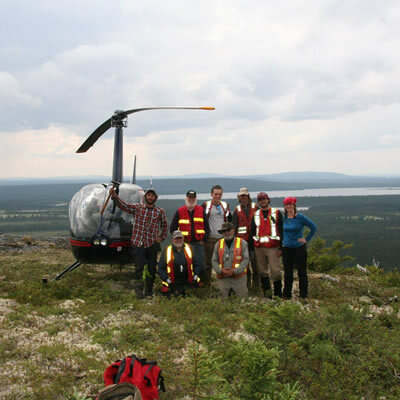 The Company owns (i) a 100% interest in prospective uranium claims in the Athabasca Basin, Saskatchewan totalling approximately 9,362.65 hectares; (ii) has an option to acquire 100% of the Wicheeda Rare Earth Element Project located in Prince George, British Columbia; and (iii) has an option to acquire 100% of the Lac Burge gold property located approximately 215 km northeast of Val d'Or, Quebec.